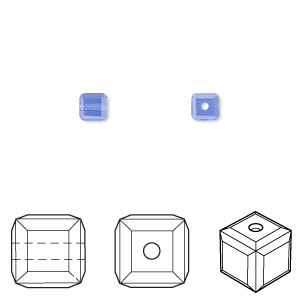 Bead, Swarovski® crystals, sapphire, 8mm faceted cube (5601). Sold per pkg of 48. Item Number: H20-2249CY Have a question about this item? 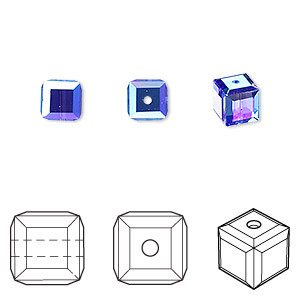 Swarovski crystal cubes add extra distinctive dimension to your designs while their faceted surfaces provide a variety of scintillating sparkles. Swarovski crystal components are made in Austria and are considered the finest products of their kind in the world. 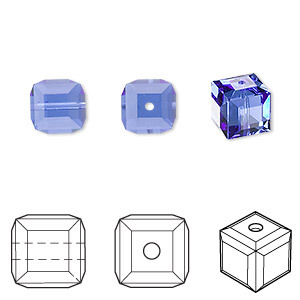 Bead, Swarovski® crystals, sapphire, 8mm faceted cube (5601). Sold per pkg of 6. 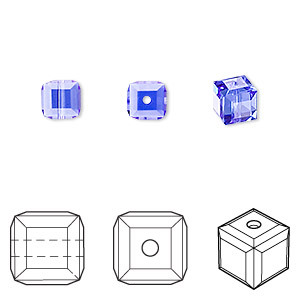 Bead, Swarovski® crystals, sapphire, 8x8mm faceted cube (5601). Sold per pkg of 96.